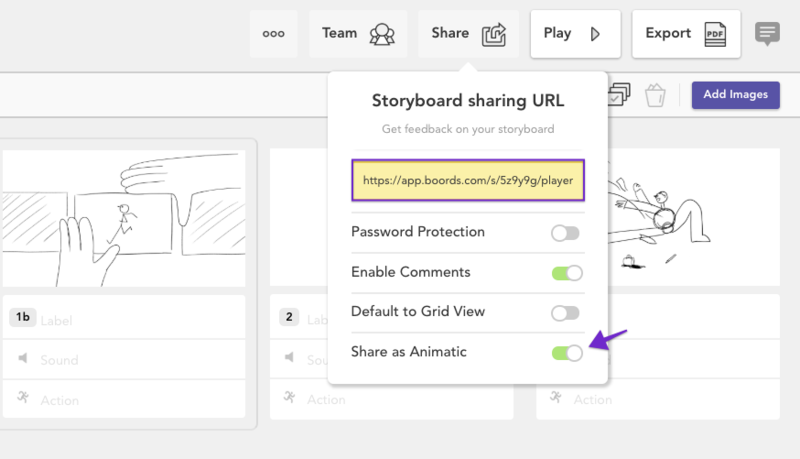 You'll find the shareable link by clicking on the share icon in the storyboard edit view. To share as an animatic, make sure to set the "Share as Animatic" toggle to green. Copy the link and send it to your team, your clients or anybody else that you'd like to share your Animatic with! If you have enabled looping and subtitles in the Animatic settings section, it will also also be turned on for those viewing through the shareable link. 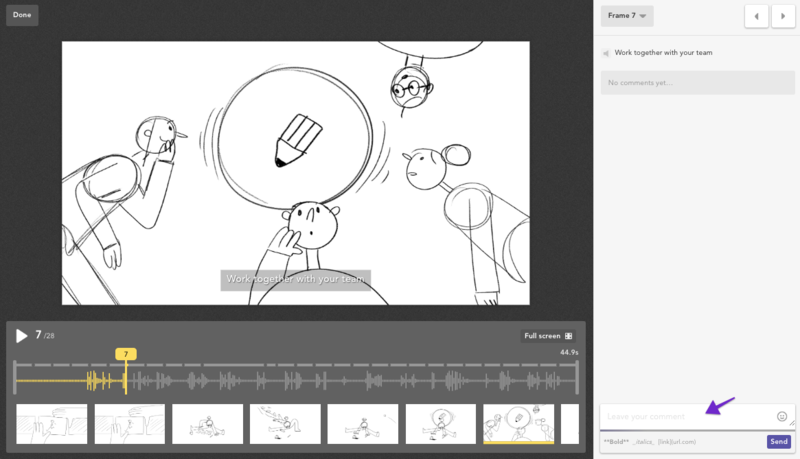 As well as using the shareable link, Team & Plus plan users also have the option to render an Animatic as an MP4 file. If you currently have a Free plan and would like to have access to MP4 renders, you can upgrade here. 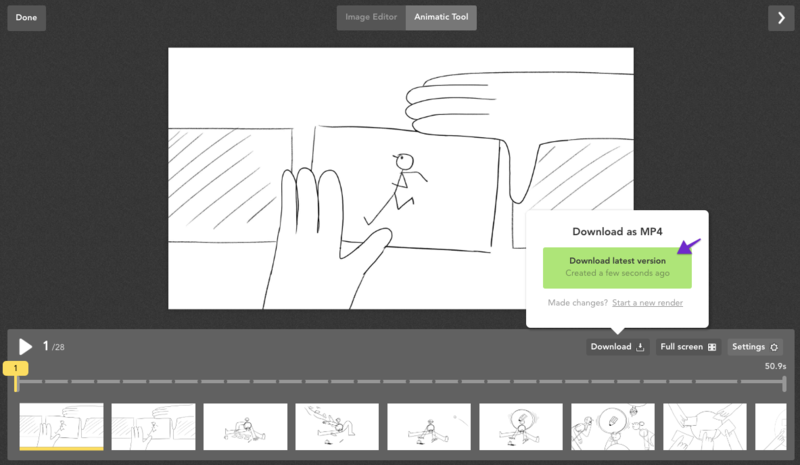 In the Animatic Tool, click the download icon in the bottom right-hand corner. If a sound file has been uploaded to the Animatic, it will be automatically be included. Displaying the subtitles is currently not supported in the MP4 file. The final, rendered video will be 1/2 HD in size (960x480 for 16:9). To learn more about the Boords Animatic Tool, check out this article.